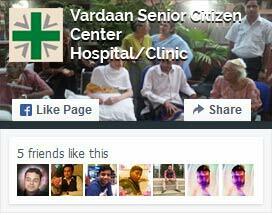 Greetings from Vardaan Senior Citizens Home! We at Vardaan, with our experience of more than 25 years in the medical field, are deeply aware of the problems amongst the senior Citizens. There is an increasing percentage of senior citizens Population. The projected senior citizen population is going to be by 2020. Better living standards and comprised with growing medical knowledge and facilities, the longetivety of senior citizens has been constantly going up too. The problems which the elderly are facing are that they have to live alone. There is a steady shift of population in the senior age group and the shift of population from small towns and villages to larger cities with aspirations to improve life over the years. Now, children are also moving out with similar aspirations, and many of them have gone abroad to distant places, leaving the elderly lonely and uncared for. With advancing age, age-related problems arise and it becomes difficult to handle them single hardily. Seeing this problem coming up, we at Vardaan Senior Citizen Home have endeavored to make the life of medically challenged seniors comfortable by providing them the basic needs, the medical reeds and also easy connectivity and communication with children and relatives, by internet, etc. Our philosophy is to give personalized professional care with love, warmth, understanding and caring. We believe in giving all of these and more to all seniors associated will‘ us. so that they spend their cays happily, in the warrant of our care.